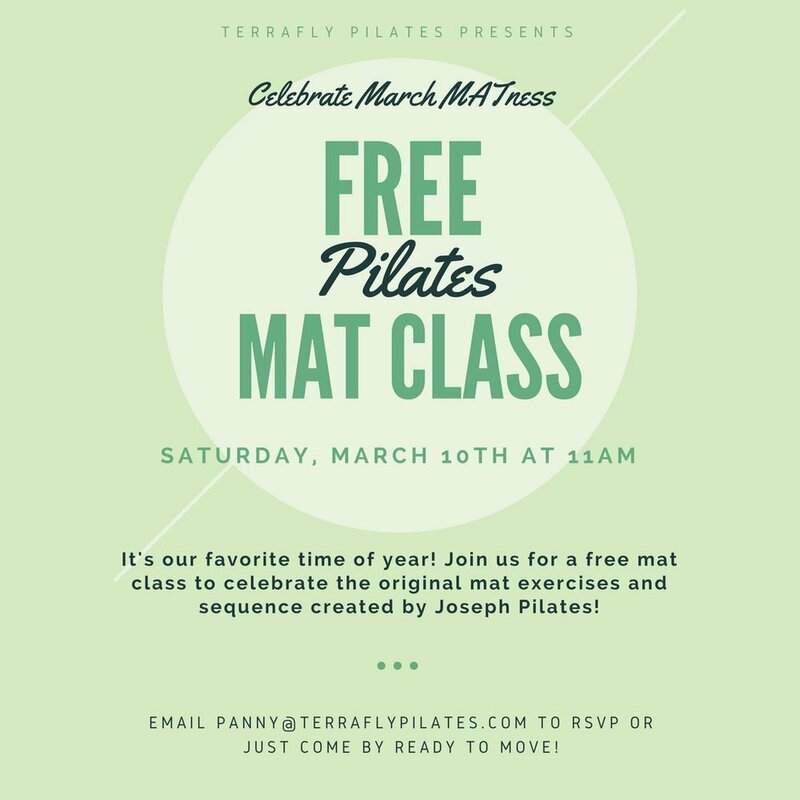 Free Community Mat Class Saturday, March 10th! It's March MATness! All month long we're celebrating the original mat exercises designed by Joseph Pilates. In honor of our favorite month, we're bringing you a FREE mat class on Saturday, March 10th at 11:00am! Get ready to move on the mat! Email panny@terraflypilates.com to RSVP or just come to the studio. Happy March MATness!